Expedia Kodaikanal holiday packages will help you save cash! Combining your reservations will give you more cash to splash for your upcoming adventure. Our enormous international database lists more than 321,000 properties worldwide and 400 partner airlines. With such a great range of options, crafting your dream holiday will be a cinch! If you decide to change your mind, we will honour your cancellation request on almost all reservations with no extra fee. It can be enjoyable to just roam the streets in a new destination, but sometimes it's sensible to come up with a plan. Grab your travel schedule — we have lots of cool ideas for your upcoming Kodaikanal holiday. If the young ones are sick of sightseeing and need a bit of exercise, why not take them to Bryant Park? It's the ideal place to have a game of catch and chuck a ball around. There's an excellent range of things to keep you busy in this destination. There's something enchanting about observing water falling off the edge of a cliff. Try to get as close as possible to Silver Cascade and feel its cool mist settle on your skin. Still have time on your hands? Temples have long attracted pilgrims searching for divine enlightenment in a confusing world. Venture to the hallowed site of Kurinji Temple and enjoy your own quiet reflection. You can expect a huge variety of accommodations when you jet off to Kodaikanal. With 21 properties on offer, it won't be an issue finding a nice place for your luxury getaway or cheap holiday. If you're into gyms and room service as well as comfortable beds, why not check out the amenities at The Carlton (Lake Road) and the Sterling Kodai Lake (44, Gymkhana Road, Lake View)? Preparing for your trip to Kodaikanal? Wondering where you'll be landing? Madurai Airport (IXM) is the most convenient option. Once you've hit the tarmac and strolled out of the arrival gate, you'll be 50 miles (80 km) from all the action. Gaze in wonder at the rushing water of this attractive waterfall and spot troops of monkeys playing on the rocks. 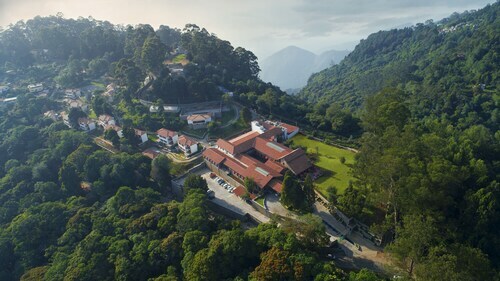 Visit this peaceful temple to see a fine example of Dravidian-style architecture and enjoy sweeping views of Kodaikanal’s rolling green countryside. Rent a boat and explore the calm water of this manmade lake, tour its perimeter on foot or by bike and visit religious landmarks. 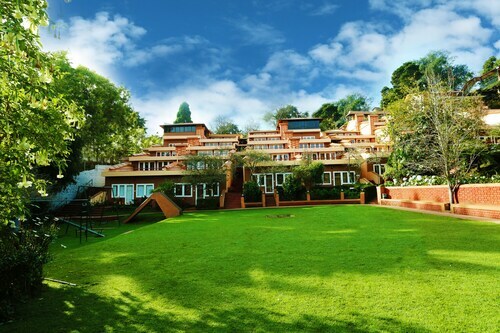 Located in the heart of Kodaikanal, this resort is within 1 mile (2 km) of Bryant Park and Kurinji Andavar Temple. American University of India and Kurinji Temple Kodaikanal are also within 2 miles (3 km). Situated in Kodaikanal, this luxury resort is 1.1 mi (1.7 km) from Bryant Park and within 3 miles (5 km) of Kodaikanal Golf Club and Kurinji Andavar Temple. Palani Hills and Pillar Rocks are also within 3 miles (5 km). 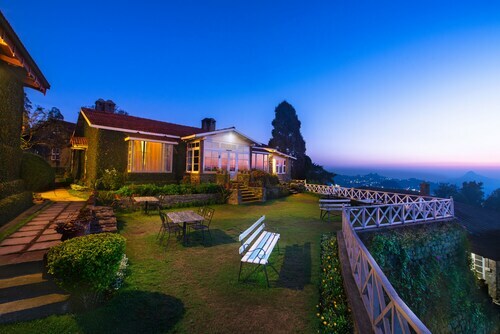 Situated in Kodaikanal, this resort is within 1 mile (2 km) of Bryant Park and Kurinji Andavar Temple. American University of India and Kurinji Temple Kodaikanal are also within 2 miles (3 km). 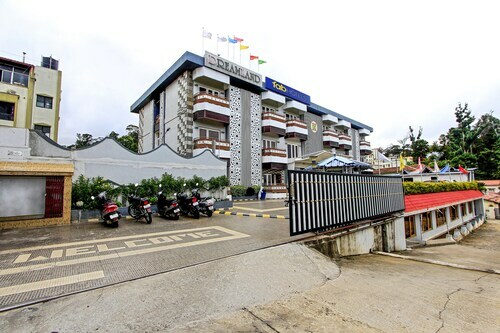 Situated in Kodaikanal, this hotel is within 1 mile (2 km) of Kurinji Andavar Temple, Bryant Park and American University of India. Kurinji Temple Kodaikanal and Kurinji Temple are also within 2 miles (3 km).